As regular readers will know, I’m not a fan of show bikes. But every now and then you get one that’s so over the top, it’s worth featuring just for the hell of it. 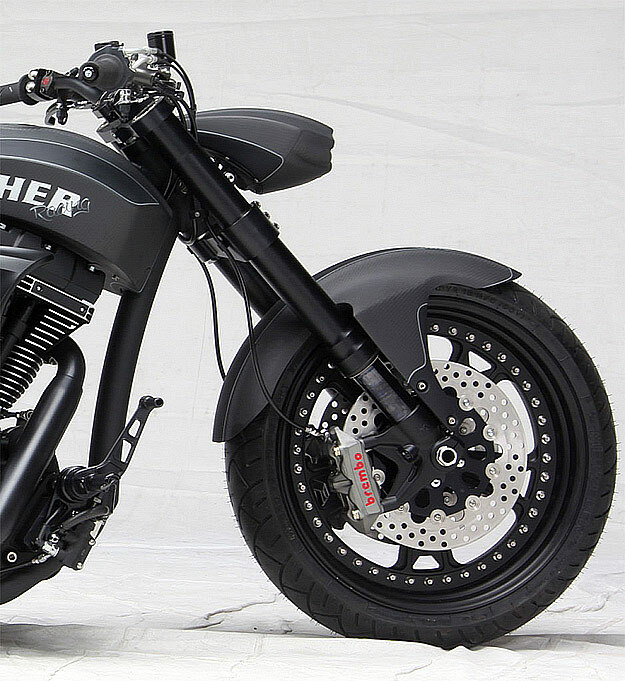 This is one such bike, and its full title is “H&R Erbacher The One”. 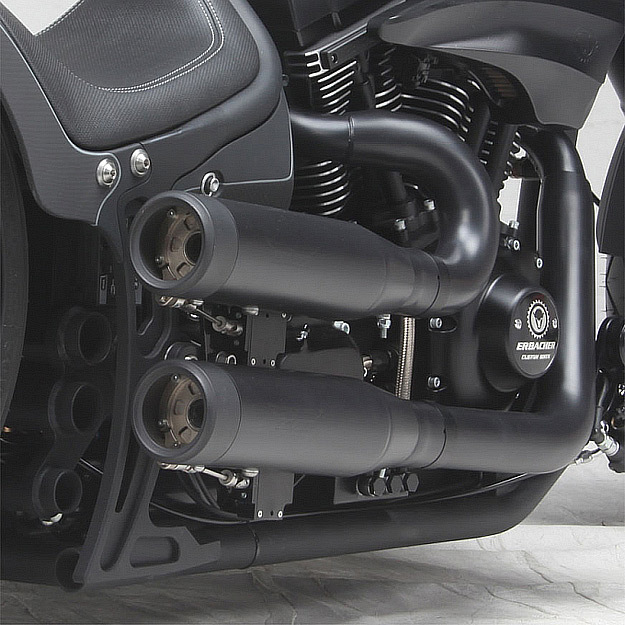 That means it’s sponsored by suspension specialist H&R Special Springs and it’s built by Swiss drag racing legend Urs Erbacher, who runs the Fat Attack custom shop. 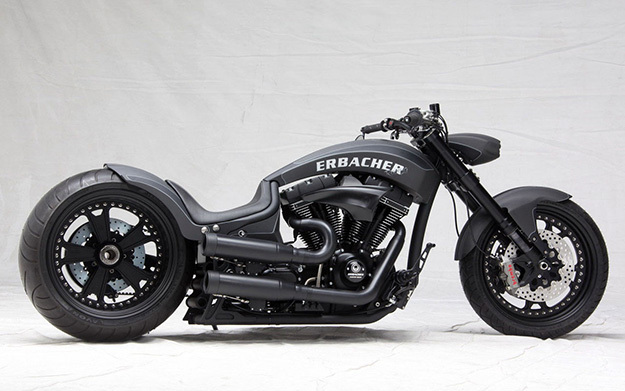 Erbacher’s custom bike business pays for his drag racing exploits: he’s used to building (and driving) 8,000hp top fuel monsters that can accelerate from 0-100mph in less than a second. And he clocks the quarter mile in less than five seconds—pulling up to 5Gs in the process. 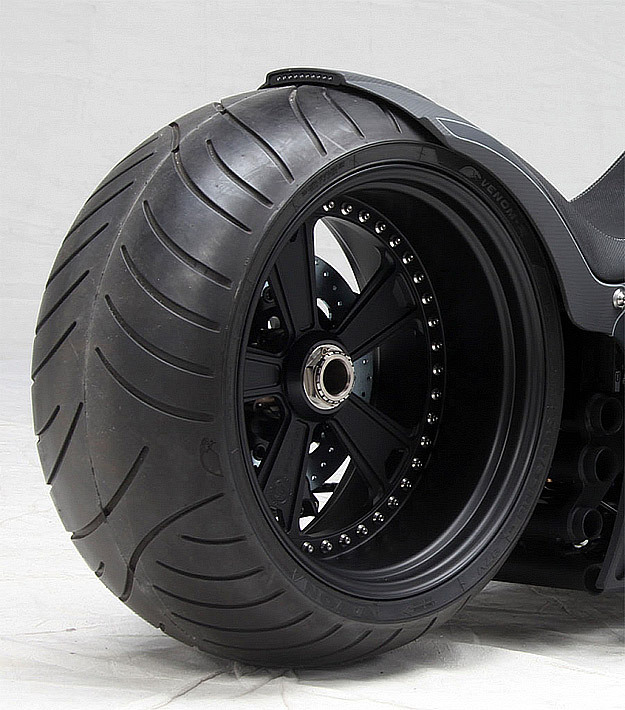 So it’s surprising that The One has a relatively mundane Harley-Davidson engine putting out just 110bhp. Apparently, this is to allow the motor to be serviced at any Harley-Davidson workshop. Making up for this lack of mumbo is a light kerb weight: The One is crafted from titanium, aluminum, carbon and aircraft steel. Erbacher claims a saving of 60kg (130lbs) from using these materials, but doesn’t quote the final weight of the bike. “The One” is so new it doesn’t appear to be featured on the Fat Attack website, but I’m sure we’ll be seeing more of it as it does the rounds of the shows. And if you’re interested, Fat Attack will build one for you. The price is 110,000 Euros, or US$145,000. Any takers?